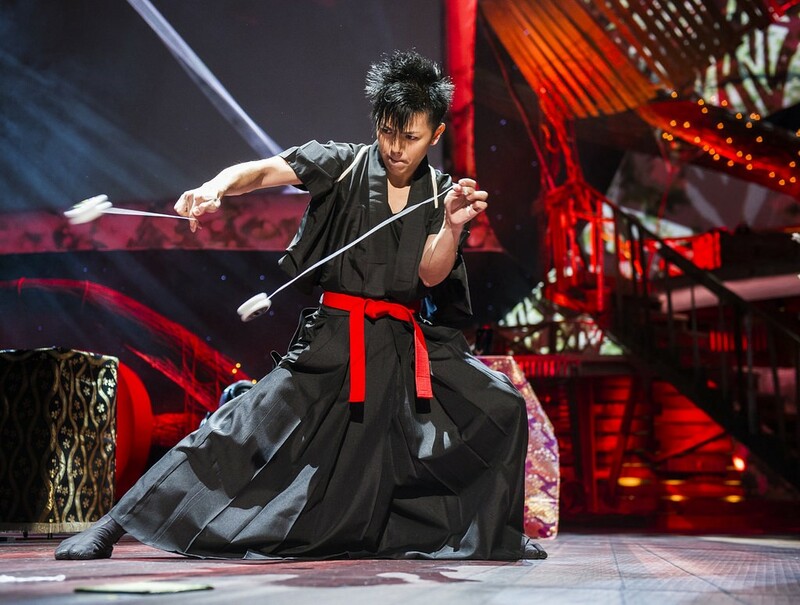 Two-time yo-yo world champion BLACK garnered attention when he became the first Japanese speaker on the TED stage in 2013. His speech about his own life moved a great number of people. He said he had been a shy boy who believed he wasn’t good at anything, but once he got his hand on a yo-yo, and he began to build a life with enthusiasm. Everyone hopes to change and develop his or her life with a passionate core. What’s needed to achieve this hard-to-realize dream? How did BLACK do it? Here’s what he has to say. When I was in elementary school I didn’t stand out and I wasn’t very confident. I didn’t get good test scores and I wasn’t good at sports. Also I wasn’t a funny kid who could make people laugh. I didn’t have much of a presence. I was convinced that I was terrible at anything. I was bullied. But I didn’t try to create an opportunity or learn a special skill to change the situation. I thought I would never be able to prove my worth as I was nothing more than a target of bullying. I had no confidence in myself. My parents were so worried that they recommended me to take an entrance exam for a private junior high school. So I enrolled at a six-year secondary school in Tokyo. But the change of school didn’t change my lack of confidence. I preferred to be alone. I was only interested in manga and anime. It is only nowadays that Japanese manga and anime enjoy global recognition and we can proudly reveal our interests in them. Back then, though, disclosing your obsessions with manga and anime would make you out to be an unfriendly, gloomy figure. They didn’t boost my self-confidence. But it was my enthusiasm for manga and anime that brought me to the world of yo-yoing. I learned about the Hyper Yo-Yo, a line of products jointly promoted by toy maker BANDAI and Shogakukan, the publisher of the monthly boys’ manga magazine CoroCoro Comic. Modern yo-yos have a built-in ball bearing that allows players to keep their yo-yos spinning around it for a long time (this technique is called sleeping). This function enables players to perform various tricks that were impossible with older versions of yo-yos. Among those advanced yo-yos, the Hyper Yo-Yo was an imported series that was easy even for kids to handle. It became so popular that contests were held for Hyper Yo-Yo players from elementary and junior high schools from around the nation. I took interest in the Hyper Yo-Yo and got one when I was a ninth grader, although at first I didn’t think “This is it!” I wasn’t very good with my hands. I couldn’t even build simple paper crafts that came with magazines as a free giveaway. But I practiced and practiced to master basic tricks. Unlike sports, you can practice yo-yo in a room. I think this turned out good for me because I liked to stay in my room. My techniques didn’t improve as much as I had hoped, though. I almost gave up. But after about one week of practice, I pulled off some throws somehow. I felt I successfully achieved something that I couldn’t do before. This experience gave immeasurable encouragement to me, even when I only had a negative mindset. When I was a senior at high school, I won the national yo-yo competition held in Aichi Prefecture. Somehow, me, a boy who had been unable to do anything confidently, received high praise and became the top yo-yo player in Japan. The victory gave me incredible confidence. Some six months later when I was a college freshman, I participated in a world tournament held in Orlando, Florida. I took the top spot in that, too. I was on top of the yo-yo world. I felt my dream came true. I enjoyed the lively atmosphere of the contest where yo-yo fans from around the globe got together. When I was strolling down a shopping mall in Orlando, a person who watched the tournament as a spectator was me and called me the world champ. I was really happy. I started thinking about how my life would change once I returned to Japan. I even imagined that TV reporters would interview me. After returning to Japan, however, I painfully realized that nothing had changed. People looked at me the same way as before. I couldn’t do anything other than the yo-yo confidently. Of course, no reporters contacted me. I was stunned by the gap with the yo-yo world. At the same time, I learned how indifferent people were to yo-yos. Before long, the time drew near for me to graduate from university and join a company. But I had no prospect for my future even though I reached the top of the yo-yo world… I said to myself, “I’ve already realized my dream, haven’t I?” It seemed to me that taking a normal job would be denying my achievements. But things didn’t change in my favor, so I joined the ranks of a system developer as an engineer, taking the first step to become a company worker. My corporate performance was bad because my morale was very low. I hadn’t even cared which firm I would get hired at. What’s worse, I was so busy with work that all I did on days off was rest. I came to think that I had to get out of that environment quickly. I was as good as dead in those days. Having said that, it was unthinkable to earn a living from yo-yo performances. I scrambled to hunt for another career. Then I found a job placement service for athletes. I heard that many of them couldn’t take satisfying work after retiring as active athletes. The company I found was specially designed for them. Though I wasn’t a sports player, I sought advice from it as I thought my situation was similar to that of athletes. The firm’s official asked me to write a history of my life as part of a program to decide suitable job categories for me. I noted down things such as what I had done since my boyhood as well as experiences that moved me. This process helped me identify what I desired deep down. For example, I adored heroes on TV programs and I wanted to become a hero so I could save other kids who were being bullied since I was bullied when I was younger. Then I wondered, “What can I do to achieve that dream?”. Setting down my life history also reminded me of another thing: Life ends someday. In other words, I realized that I would die someday. Then I thought I want to leave society with some positive legacy that would last even after my death. I wondered what it would be. When I explored the question, it dawned on me that I should perfect yo-yoing as a form of entertainment and present my performance at prestigious events. The general public didn’t recognize my feats or those attained by other players who became world champions after me. I made up my mind to become professional to raise the social status for yo-yos and make enthusiasts’ efforts pay off. With this resolve in mind, I quit the company and strived to turn pro. Regardless, there weren’t any role models in the yo-yo world for me to follow. Becoming a professional player amounted to setting out on a journey into the unknown. Later, I presented my performance in a show at Ikspiari, which stands next to Tokyo Disneyland. In 2007, I won the World Yo-Yo Contest for the second time. In 2009 and 2010, I participated with my yo-yo world champion friend in the Daidogei World Cup, which takes place in Shizuoka Prefecture every November. Though the name of the World Cup includes daidogei, or street performance, it’s actually a festival of top-class circus artists from across the globe. I’ve been to the event every year since I was a student. One of the artists was Viktor Kee, one of the best jugglers in the world. I’m a big fan of him. I watched the video of his performance over and over again to try and pick up something from it. Besides learning small techniques, I also was able to form the belief that performances can only be artistic when they synchronize with music and involves movement from every part of the body. When he came to Japan, we happened to get to know each other. He kindly agreed to see a video of my performance. He told me that my techniques were good but I should learn dance to improve my body movement. Afterward, I took up ballet and jazz dance. This helped me pass an audition for Cirque du Soleil in 2009. That’s because Cirque du Soleil’s auditions consist of a video demo, actual performance and impromptu dance. This is how I came to be registered as the only yo-yo artist in Cirque du Soleil. But I was still not satisfied with my performance. I thought that even if I was allowed to perform on the stage with the ability I had at the time, I wouldn’t be able to gain high social recognition for yo-yos. So I honed my skills further (it was 4 years later in 2013 that I performed on the Cirque du Soleil stage). The next turning point in my life came when I participated in TED. 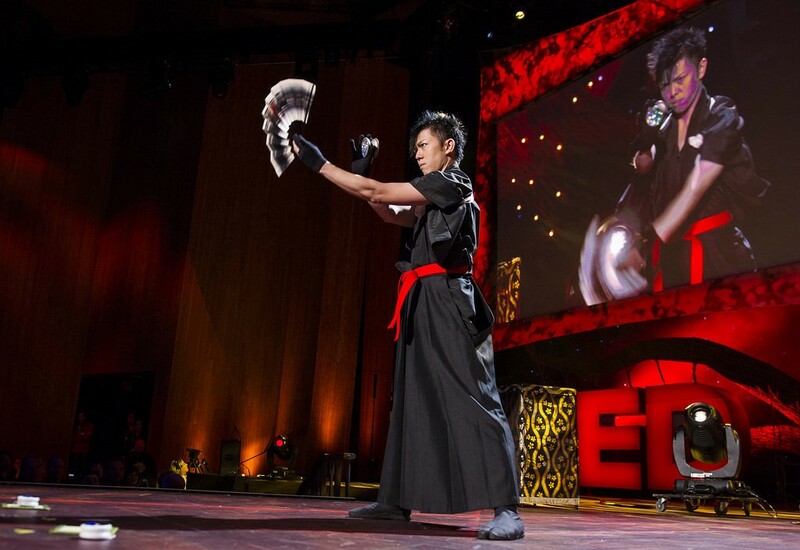 I was invited to perform at a TEDxYouth event in Tokyo in 2010. I also participated in TEDxTokyo the following year, giving a speech and performance. It was unexpected that the organizers had asked me to deliver a speech. It was even more unexpected that I had to speak about the theme of passion. I was surprised that one of the TEDxTokyo organizers, Patrick Newell, called me passionate. I had never thought of myself as passionate. 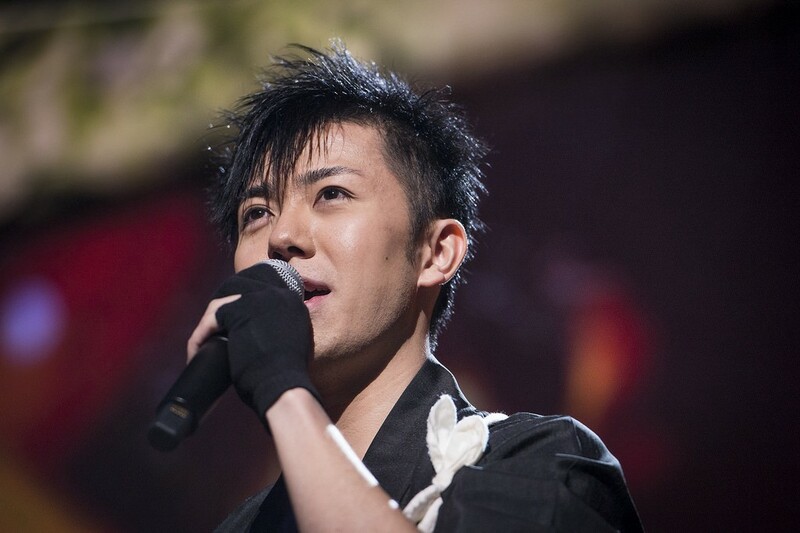 But when I was preparing the speech, I found that various events in my life could be connected to the word passion. It was a truly intriguing and precious realization. In 2013, I found that TED, the parent organization of TEDxTokyo, was advertising for speakers. I applied and got a slot as a speaker. I delivered a speech and a yo-yo performance in Long Beach, California, and received a standing ovation. That presentation put me on the map right away. I was interviewed by CNN and invited by Zappos founder Tony Hsieh to put on a show in Las Vegas. I also got more interview offers from Japanese business magazines. I remember feeling that my connections with people and the level of work required both increased. I think the series of activities has significantly contributed to making me what I am and attaining my goal of heightening yo-yos’ social status. Looking back, I was introverted and unable to achieve remarkable things in most areas of life. And I am still so even now. But I was able to concentrate on my favorite things with enthusiasm and proactivity. If there are children like me, I do hope from the bottom of my heart that they will discover something they can absorb themselves into. It doesn’t matter what it is. In my case, I took up yo-yoing when I was a ninth grader. After going on to the high school division, my classmates used to tell me, “What? You play yo-yos? Those are for kids! You’re already a high school student!” But if I had felt discouraged and given up on yo-yoing, I would never have performed in Cirque du Soleil or spoken on the TED stage. Of course, it’s important to listen to your friends and those older than you, but if you find the passion of your life, just give it a shot, shaking off conventional ideas and biases. Even if the outcome doesn’t meet your expectations, you can still reap the fruit of your full effort to make the impossible possible. The fruit will definitely bring great benefits to the rest of your life. These days, officials from the education industry have been asking me for support. They say they want me to share my experiences with children to help them discover their passion, which will be a pillar in their lives to survive torrents of change in the current era. They add the children will grow up to formulate society, which means my contributions to education will eventually help shape a better society. This isn’t directly associated with yo-yoing, but exactly consistent with my life goal of leaving a positive impact on later generations. I’m not sure how much help I can offer as I still have a lot to learn. However, I will never stop trying as long as I have breath in my body.